Learn How To Make Friends With Taurus! What Taureans appreciate most is honesty and integrity. Sometimes it’s pretty hard to win the trust of these people, so don’t forget that consistency is the key to success. Start with proving to them that you mean what you say and make sure your actions support your words all the time. Be sincere and open – this is your path to success!  Be careful if you’re planning to deceive a Taurus person – or, even better, don’t do it at all. Taurus representatives see if somebody is lying to them and will detect lies immediately. It means that if you’re going to make friends with the people of this sign and offer your help, don’t count upon a sudden supporter who’ll do it instead of you.